Pit bull Mastiff mix dogs are known as an American Bandogge, they are massive in size but retains some of the Pit bull’s characteristics making it the ultimate combination. The term Bandogge is a little confusing as the offspring can be of different breeds within the same family. For example, American Pit Bull terrier mixed with an English Mastiff, A bull dog mixed with an English Mastiff, Stafford-shire terrier mixed with a Neapolitan Mastiff etc. I do not how ever like to call them hybrids because the the mother and father of a Bandogge is off the same species and shares the Wolves ancestry. Hence it is the sole reason that made me change this sites name to Mastiff Mixed instead of Mastiff Hybrid dogs. Here is a question that is often asked by many, If I breed a Pit Bull with a Mastiff will I get a Bull Mastiff? The answer is no and Bull Mastiffs have established a breed of their own. The breeding of these dogs exist through reputable breeders who know what they are doing and those who are inexperienced like backyard breeders so be sure to do your research when getting a puppy. History of the Pit Bull Mastiff Mix Dogs ..
protect the owner and property. It is important to know that breeds such as the Presa Canario and cane Corso are ban dogs that gained a name for themselves and established their own breed. The dogs that are not yet established their own breed is still known as Bandogs. Caring for a Pit Bull Mastiff Mix Dogs .. The Pit Bull Mastiff Mix, a dog that can easily weigh up to 100 pounds is an ideal guard dog that is aloof of strangers. These dogs require assertive and dominance on your part and are normally recommend for the experienced dog owner. You can socialize a mastiff and pit bull mix to be even tempered but they will still greet strangers with polite aloofness as it is naturally bred into them. If you breed a bull mastiff and pit bull, the result is a very good guard dog. The bull Mastiff is alert of their surroundings and they can detect dangerous occurrences and out of the normal. You don’t generally hear too many people complaining about training Mastiff’s they are indeed gentle giants and are easy to train. Health problems in Pit Bull Mastiff Mix Dogs ..
As with most large breeds joint problems are a pain, hip dysplasia, tumors and bloat can also affect these dogs. 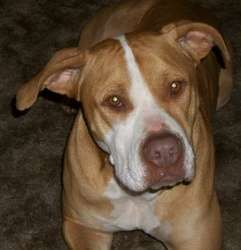 The Pit Bull however is generally a healthy breed and the chances are may be reduced in the Bandogge pup. Their lifespan is said to be around 10 years but being an offspring of Pit bull as well, it is possible to attain a few more years. It is possible to avoid a lot of problems by having them in a raw diet, raw diet will keep them lean and thriving. Commercial foods can make the Pit Bull Mastiff gain weight easily and no commercial food can compare to raw feeding. It is good to minimize commercial foods to few times a week to insure that the dog is getting all proper nutrients. The Ban-dogs are actually a recognized by the ACHC,DDKC,DRA,BBC and DBR. Hi Randi, they are indeed wonderful dogs. I have owned a purebred Cane Corso myself. Cane Corso’s are amazing dogs, They naturally have that guarding instinct which I saw for myself. I love any mix of Pit Bull dogs as well, Labrabulls are one of my favorite dogs. I own a 2 Year old American Pit Bull Terrier. I would love to see your dogs pictures be sure to join our forums and post pictures in your gallery. Do u have puppies of your pitbulls for sale am dying for one! I have a few pitbull mastiffs remaining from a February litter (one male, 2 females…all are red). I’m located in Atlanta and would love to find them great homes, please email me if interested. hi if you have some pics be sure to send to me @ vnairp11@yahoo.com I can post in our facebook group and other groups as well. thanks. Thanks! I’ll email you some pics..and I realized I forgot to include my own email address – kialovely1@hotmail.com. Thanks again Vinu! I wish there were a way we could post pictures on here. I “fostered” a pit/mastiff mix years ago which I named Baxter. Yes, I named him LOL. And yes we are still together. Today he weighs 98 lbs. He is the love of my life. When men enter the room he gently walks between me and the male in the room. I just got out of an abusive relationship and in that relationship it was always verbal. Baxter would always stay between me and my ex. He was so protective. I just love him so much. He is the love of my life. I don’t know how to do pictures on here. Hey Jan that is awesome to hear. At 98 Lbs, he is a big dog most likely because of the Mastiff in him. You can join our face book group @ or you can sign up for our forums and post it in the picture gallery there. You can also subscribe to us Here. I have a pitbull/mastiff mix that I fostered and yes is the love of my life. His name is Baxter. He is beautiful!!! I don’t know how to do pictures on here. Hi my name is Celina, i recently rescued a 5 month old pit bull mastiff mix. I am not a experienced dog owner. 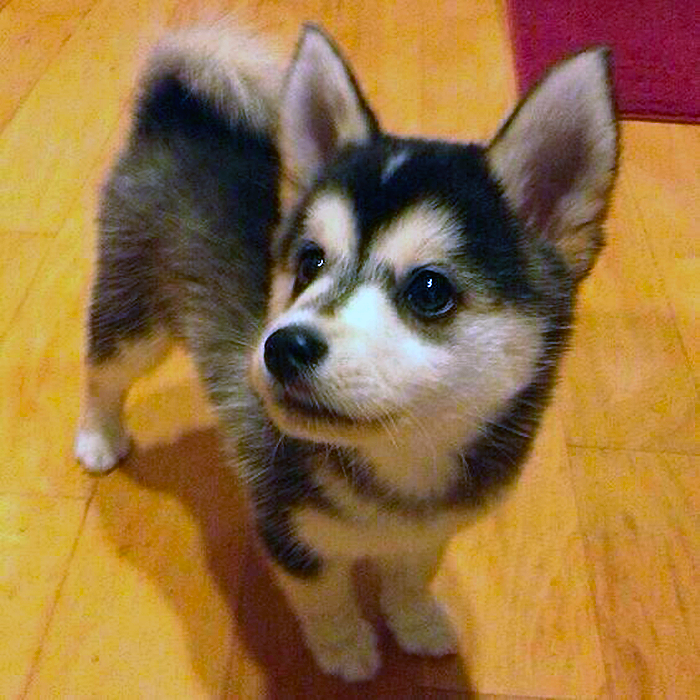 I really need tips on how to show him that i am the pack leader. Its been a month since i have had him, i have noticed a difference in him as time goes on. For instance when i play with him he gets to hyped up to where i have the toy in my hand and he will snap and sometimes biting me. I need help! 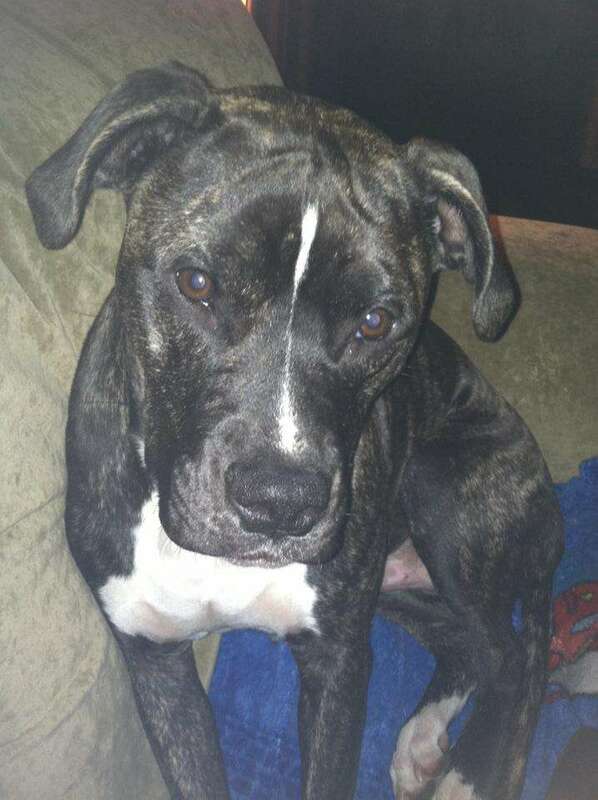 We have buddy a pit bull mastiff mix he is a big boy 124 lbs he thinks he is a tiny lap dog he loves anyone and everyone but will fight for his babys witch are my children no one just me can touch them he is a very important part of our lives he love the water when we go to the lake or beach he has to be watched very close because he will get in the water and just keep on going. Hey Linda thanks for sharing, that’s cute how a dog that massive loves to swim. You can join our FB group and share his pictures with us. I have a 9 month old blue pitbull mastiff I would love to join your fb group. This is my first time with this breed and am experiencing some dominance issues. Thank you, always use positive reinforcement training a pit bull mastiff mix but do let him or her know who is boss. You never want to hit your dog as it makes him or her loose trust in you and see you as a weak owner. They can also become aggressive as adults if you use any form of negative reinforcement. We are thinking about buying one, but we have a 5 pound shihtzu and I’d like to know how Pit bull mastif mix are with other dogs. Where are you located in Michigan??? Howdy! My name is Shelby. I adopted a stray Brindle Pitbull Mastiff Mix on August 27, 2015. She was running around my work for a month and I spent almost two months trying to catch her. I am sooo blessed to have her. A couple ended up catching her before I could. They came into my work saying they caught her and asked if I wanted her. I told them to give me a sec to call my husband. My husband said no. I told them that. They gave me their address to come and pick her up if I could convince my husband to let me have her. I gave him the address to their house. At 5 am the 28th I get off work. I see my husband sitting outside with this dog. He decided to go to the couples house and bring her to me. She is my big girl. Her name is Roxie. I’ve been trying to get her to play with her toys but she doesn’t really play with them yet. I’m hoping when she starts to settle in more that she’ll play. Do you guys have any suggestions? I am about to become a pitbull/bull mastiff mix (with the pit being the momma] puppy owner. Have been reading about the temperament of bandogs, and since I haven’t trained a dog in 10 tears, I am understanding that I need to establish Alpha dog stance early…and socialize her early. What type of training do all if you who are familiar the bandogs recommend? Hello im katey and im 17 i am going to get a pittie/bullmastiff mix at the end of august. It’s not my first time owning a dog but it will be my first time training and raising a puppy. I absolutely love dogs and i get that you have to be alpha so i just want to know how well these dogs interact with small animals cause i have a 10 month old dumbo rat and im kind of nervous. Hi Katey, it makes a difference if you get a puppy or an adult dog. If you are getting a puppy then you can teach it to adapt to your lifestyle and teach it positive behaviors that you set. If you are getting an adult dog from a shelter then, their behaviors may be unpredictable depending on how they were raised. If you get a puppy you shouldn’t have issues getting them used to other animals in your house hold. Keep in mind that a Pit Bull/ Bull Mastiff mix can get pretty big and heavy too. Also know that terriers are bred to be rat hunting dogs. I have a pit/mastif, she is a gentle giant (15 mos. old and HUGE) but when it comes down to protecting her family, she becomes scary! If a utility person has to go in the back yard, I have to go out with him so she knows he is okay. After she sniffs him, I can go inside and let the guy do his job. Hi Ozzie my Pit Bull does the same with strangers, She won’t bite them but will be barking like crazy and stands between me and them. She only relaxes after I have some sort of interaction with the other person. I usually stay calm and run my hands over her to let her know it is ok. Be sure to join our group on Face Book, would love to see her! Forgot to tell the name of the FB page. Dawn, I am trying out Purina Turkey & Venison right now and my dog loves it. I just started on it the other day and will do a review on it within a month. It is a very cost effective food as well. Our dog Teddy was rescued from our river when he was a pup. He is the most lovable, cuddly dog I have ever known, so for this reason we called him Teddy. At 50kgs he still thinks he is a pup and tries to sit on my lap. I love him to bits. I have a Pit Mastiff mix that we got to keep an eye on things around our home. We ended up adding a German Shepherd to the household because I know when we have visitors before our Mastiff mix does?? Her hearing is fine tho , she hears the slightest noise from across the house when it involves anything to do with food !! What gives?